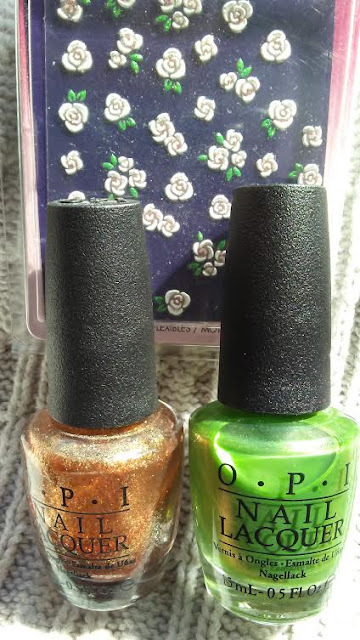 This week towards St. Patricks Day, I started the week with holiday inspired nail art using the current polishes that I have which OPI polishes in "My Gecko Does Tricks" that's vibrant green shade from OPI Hawaiian Collection and "Goldeye" which gold glitter polish inspired by OPI / James Bold collection. 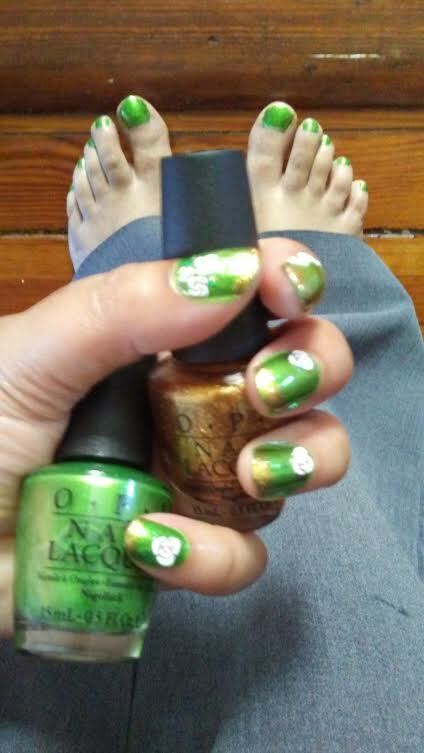 I did 2x coats on each nail for my manicure and pedicure but I decided to use some rose/flower stickers for the "Irish rose" theme and then paint the nail edges with a thin line of Golden Eye. Afterwards, I used a clear nail coat to seal my nail look!! I am really loving my looks for this upcoming St. Patrick's Day celebration with my family and friends. 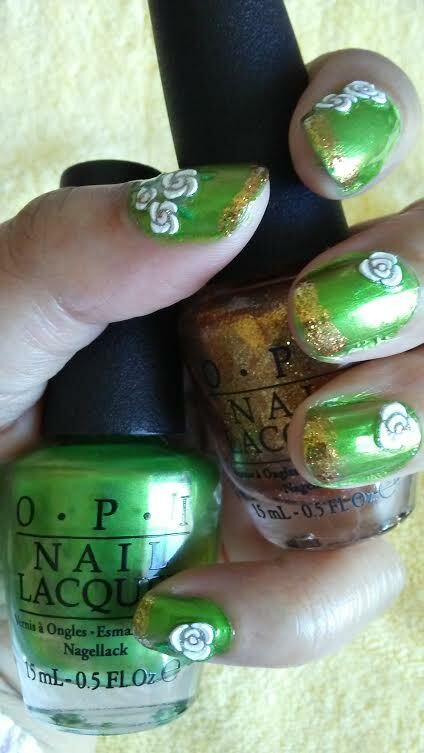 That's a perfect St. Paddy's day mani. Love the pairing of the bright green with gold from the end of the rainbow! Wow it's so bright and festive! Perfect for st Patrick's day! Love, love, love your mani! Especially the flowers. Great color combination. You're an artist...soooo cool. Did I say I loved it? I did! Thank you and hope you have a great weekend!! I just simply used what I had on hand!